How are you recently? 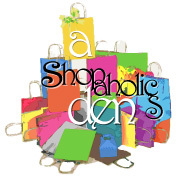 Well, as usual, Beads Garden Fashion is busy with upcoming event. This round where will the event be?? It is located at The Weld, K.L. Same venue as per my first participation in flea market. So, The Weld fellows, do remember to visit me ya! Some of your previous trader & new trader will be there too. 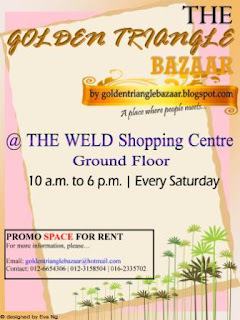 The Golden Triangle Bazaar starts in Aug '09. 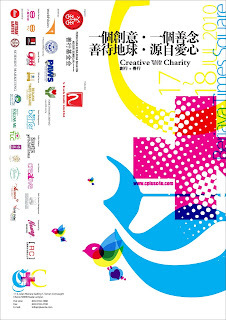 So, please help to ads with regards to this bazaar. Time: 10 a.m. until 6 p.m.
Have a problem on how to get there? Click on this link.